Size 1/8" to 2 1/2"
Extensively used in the chemical and pharmaceutical industry, Rotodel Rotary Gear Pump Type HGSX are self-priming and bi-directional. 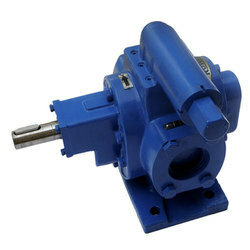 We are prominent suppliers and exporters of Rotary Gear Pumps. Rotodel Rotary Gear Pumps are widely used in the Pharmaceutical Industries for handling sugar solution, glycol etc. One can obtain the Pumps at reasonable rates. ROTODEL gear pump type 'HGSX' is a self-priming, bi-directional, positive displacement rotary pump in all stainless steel (SS - 136) construction with dry - Teflon coated DUbush bearing requiring no lubrication. 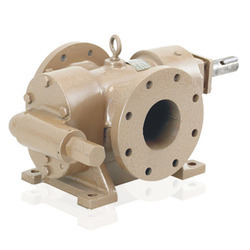 These pumps are easily cleanable, easily maintainable in 3 - piece construction. The back cover can simply be removed by 4 - dom nut. The rt angle mounting brackets facilitates foot mounting of the pump on a base plate with the electric motor of appropriate ratings. This compact & efficient SS pumps find various application for handling viscous food product like Ghee, Butter, Fruit Pulp, Vegetable Souse, Kanji etc. They also are used in Pharmaceutical Industries for handling Sugar Solution, Glycerine, Glycol etc. In Chemical Industries corrosive viscous chemical can be handled most effectively with this Pumps. 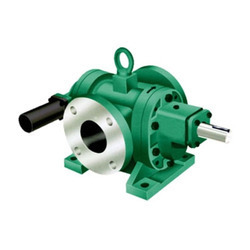 PORT SIZE NPT 1/2" X 1/2"
We are counted among the leading suppliers of good quality Rotodel Gear Pump. Rotodel rotary gear pumps are widely appreciated and demanded by the customers for their sturdy construction, seamless finish, good suction and deliberation capacity. Rotodel rotary gear pumps are used for the handling of mineral oils, paints, varnishes, syrups and inks. To ensure the delivery of defect free products, these products undergoes various quality checks before the final dispatch. We supply Rotary Gear Pump that is provided with the self-primping pump and bi-direction positive displacement pump. Our offered range of rotary gear pump finds a vast application in machine tools applications and per-lubrication of engines. 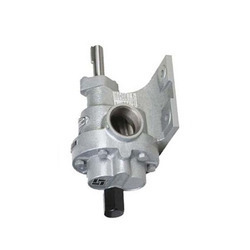 Ensuring perfect alignment, this offered gear pump offers a trouble-free performance to the customers. 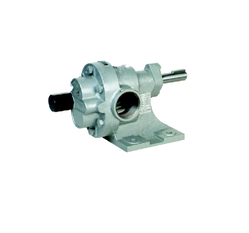 Our organisation is counted amongst the leading suppliers and exporters of premium quality Rotary Gear Pump. Rotodel pumps are widely appreciated for their simple functioning, optimum performance, hassle-free suction and delivery. Offered pumps are applicable in power plants, steel plants, refineries and ships. Our organisation is counted among the prominent suppliers of high-quality Rotodel RDMS Rotary Gear Pump . Rotodel pumps are widely demanded their easy installation, simple functioning, less power consumption and excellent performance level. PUMP MODEL S CAPACITY AT 1440 RPM WT. OF BARE PUMP PER SET in kgs. We offer a comprehensive range of Rotary Gear Pumps for Oil Industry - Prism. To meet the rising demands of our valued customers, we come with a Stainless Steel Rotary Gear Pump that has a single helical gear design. Easy to maintain, it is widely demanded in the market. Provided with Bi-direction positive displacement pump, this pump offers a hassle-free functionality. The comprehensive range of rotary gear pump offered by us is widely known for its relief valve design. We are among the leading suppliers of good quality Rotodel Fuel Transfer Pump. Rotodel pumps are widely appreciated for their noise and vibration free performance, high suction capacity and less power consumption. We are offering Rotary Gear Pump Type RDBX RDNX to our clients. The handling high volume of viscous liquid at medium pressure is a challenge & calls for expertise. Rotodel has acquired this over last 25 years through in-house research & development based on customer feed back & field trials. The proven range of rotary twin gear pump type 'RDRN' have been modified to achieve high pressure by reducing the bearing span, balancing the hydraulic force & blocking the slippage path but without compromising on the basic features prominent with all ROTODEL rotary pumps via the compactness, efficiency, reliability & low noise level. A pair of an impeller with herringbone gear fitted on hardened & ground shaft with shaft sleeves in floating design supported on either side of needle/bush bearings located on end covers with lab. wearing plate packed in between and placed inside close tolerance accurately machined casing with built in pressure relief valve makes the pump. Size 1/2" to 2 1/2" are provided with BSP thread inlet - outlet flange connections & they are available with foot or flange mounting. Size 3" to 6" are foot mounted with inlet-outlet port drilled to ASA-300 class. Type RDBX is a bush bearing version & is offered up to 2 1/2" size. Rotodel RDBX - RDNX pump can also be offered with different MOC viz. CI,CS, Bronze, SS etc. Pump up to 35 bars is also offered in this series by further reducing the bearing span. The flange type pump coupled with flange type electric motor is offered in horizontal as well as vertical construction. Available Sizes 1/4" to 3"
“ROTODEL” brand Rotary Gear Pump Model “HGN” which is self-priming, foot mounting type positive displacement rotary gear pump. Model “HGN” having simple two pieces Cast Iron construction which is single helical modified profile carton steel gear shrink fitted on alloy steel hardened and grind finished shaft as gear firmly supported 4 nos. of self-lubricated sintered bronze bush bearing which ensures smooth running. These pumps can be run in either direction with change in inlet-outlet port position. The relief valve operations can be reversed by simply changing the R.V. parts on opposite side. The suction and delivery connections are available in 1/4" to 3" sizes. These pumps can be operated up to a pressure of 10 kg/cm² with 5 LPM to 500 LPM flow capacity. These pumps are designed to run at 1440 RPM up to the viscosity of 1500 SSU. With the relief valve design. 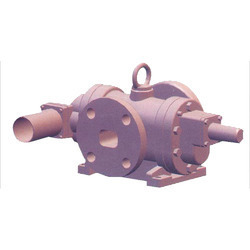 We specialise in offering Helical Gear Pump that is acknowledged among the customers, we have. Provided with ultra bronze sintered bushes, it ensures the high quality of the products offered. Highly durable in its characteristics, this offered pump is widely regarded for its high tensile strength. 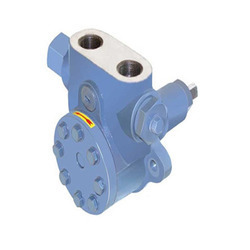 Further, the offered range of helical gear pump is widely acclaimed in the market.